Learn to recognize 70% of Chinese characters you encounter in a few weeks. Maybe you want to learn Chinese characters but don’t know where to begin. Or maybe you’ve started studying Chinese characters but found them difficult to remember. Or maybe you would like to have deeper knowledge about Chinese characters that is historically accurate but not overly academic. Understanding Chinese Characters helps you understand Chinese characters for what they really are, combining the best modern Chinese character academic research with the best learner experience. This book will give you a firm foundation in how Chinese characters are put together so that you have a deep understanding not only of the characters in the book but also countless other characters that you are likely to come across. You won’t be memorizing endless mnemonics to master each character—you’ll understand how each character sounds and what it means, based on its structure and history. Books about Chinese characters are either very difficult to read, because they've been written by researchers and are not intended for the everyday learner, or are very reader-friendly and appealing like Chineasy, but are also very imprecise, incomplete, impractical and just frustrating. Understanding Chinese Characters is easy to read and yet as accurate as the latest academic research allows. When I started learning Mandarin, in a Chinese department, specializing in Chinese character etymology, I was very frustrated because the academic books we were using, while precise, were cluttered with technical data and very difficult to read. Meanwhile, my friends outside of a formal academic program, who were learning Chinese on their own, were learning from books intended for the general reader, which were easier to read but imprecise or downright inaccurate. 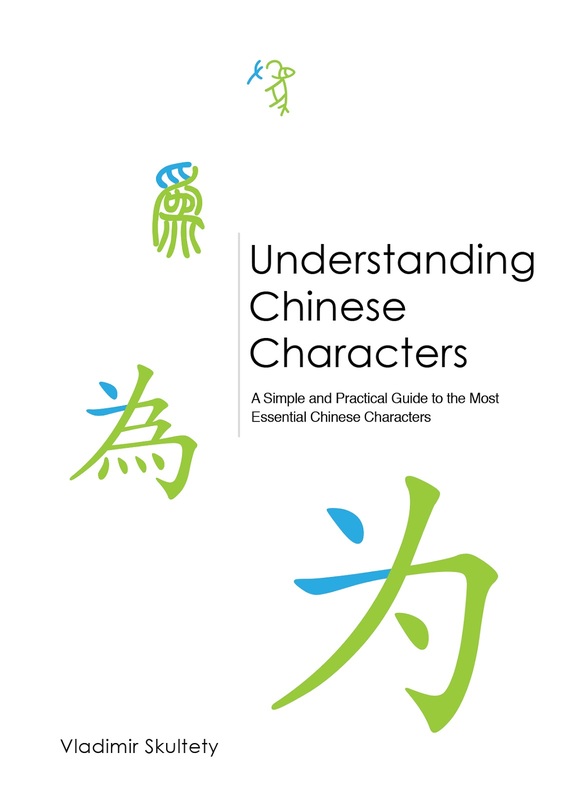 After years and years of Chinese character research and after becoming proficient in Mandarin Chinese and Classical Chinese, I was asked by a friend if I could recommend a solid Chinese character book for him, a book that would cover everything a learner would need in a very fast and functional way yet would be precise and even visually appealing. After having read more than 100 books in Mandarin and Classical Chinese, I couldn’t. There was no such book on the market. I first started building up a list of characters I could recommend to my friend and any beginner learning Chinese characters and started to write the absolute scientific minimum for each character, explaining its structure, pronunciations and meanings which educated native speakers of Mandarin use. This soon turned into a massive project, taking more than 5 years to complete involving a team of more than 20 people, which ended up in the publishing of this book. Even though we are self-published and had a minimal budget, I'm very proud of our work. I honestly do believe that the result of this effort is the best book about Chinese characters on the market to this date. It is academically precise, reader-friendly and functional. We wrote it with great professionalism and attention to detail with one goal in mind: to let the reader accurately understand and learn Chinese characters as fast as possible in the most pleasurable and functional way. Understanding Chinese characters is a book that compiles years of Chinese character study in a concise and understandable way for the learner. Written by Vladimir Skultety, a graduate of Chinese studies specialized in Chinese character etymology and a polyglot speaking 15 languages working as an interpreter of Mandarin Chinese, English and Slovak. "The author clearly put a lot of thought into this book and specifically tailored it to make it easily accessible to the masses of people who are interested in finding out more about the Chinese language and the history of how Chinese characters came about. The book is written in a very down-to-earth style and addresses a lot of frequent questions people have as they embark on their long journey of learning Chinese and coming to grips with the seemingly insurmountable writing system." "This book is a very 'clean' and precise piece of work. It presents the information you need without any waffling. (I find that many other books in the same field resort to complicated back-stories and interpretations of characters that don't necessarily help you to remember them). The explanation of how different Chinese characters are constructed is very clear and useful. The focus on only the most essential characters also helps a beginner to not feel overwhelmed. Thanks to the author for this very practical addition to my library!" "As a native speaker of Mandarin Chinese and a certified medical interpreter, I have to say that this is really an amazing book. It’s a very sophisticated and well-thought-out analogy but explained in an easy-to-understand way. The presentation of the Chinese characters and explanation of the tones are creative, animated, and the color-coding makes it easy to follow the explanations (the lil icons are quite cute too!). 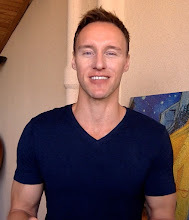 The high quality content just further illustrates the author’s knowledge, depth of understanding in the language and how much effort has put into the whole language-learning process. This is not only a great resource for those currently learning Mandarin Chinese, but also a great read and eye-opener for native speakers as you would greatly appreciate the beauty of Chinese characters. Highly recommended." 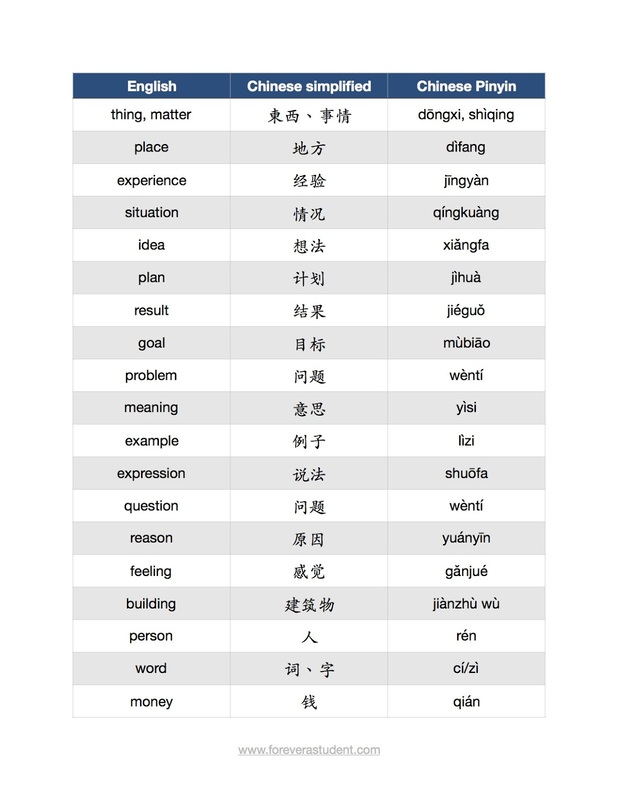 If you buy the book now, you'll get my beginner's Mandarin Chinese noun list (both simplified and traditional) for free. If you like, read more about the project here. I hope you'll find the book useful and enjoy reading it as much as I enjoyed writing it, but if within 30 days after your purchase, for any reason you should think it wasn't what you were looking for, your payment will be fully refunded. As a native speaker of Mandarin Chinese and a certified medical interpreter, I have to say that this is really an amazing job. It’s a very sophisticated and well-thought-out analogy but explained in an easy-to-understand way. The presentation of the Chinese characters and explanation of the tones are creative, animated, and the color-coding makes it easy to follow the explanations (the lil icons are quite cute too!). The high quality content just further illustrates the author’s knowledge, depth of understanding in the language and how much effort has put into the whole language-learning process. This is not only a great resource for those currently learning Mandarin Chinese, but also a great read and eye-opener for native speakers as you would greatly appreciate the beauty of Chinese characters. Highly recommended. Hi Vladimir, Thanks for all the great work you do. Especially, the helpful content on YouTube. I've got a question about your PDF E-Book. how many pages in the book are there in total? Hi Chris, thank you. There are 273 pages in the book. Hi, I would like to ask if this book is being sold in Amazon. Hi. Thank you for asking. I only self-published the book as a PDF for the moment and am looking for a hard copy publisher. For now, you can only buy the book here on my site. Hi Vladimir, I enjoyed your free sample, thank you. Can I ask how many traditional characters are covered in the full text? Thanks! Hi Alen, I'm glad you enjoyed the sample. There are 200 character entries in the book. If a character has a traditional and a simplified version, both are included in the entry.